On the week of August 14-18, Drake University’s Comparison Project, along with the Des Moines Area Religious Council and the Iowa Sikh Turbanators, will host its first interfaith youth camp. We have invited high-school students from each of the 15 communities featured in A Spectrum of Faith to participate in the camp. The morning hours of the camp will be spent creating digital stories about personally meaningful faith experiences and sharing them with one another. The afternoon hours will include site visits to different places of worship and discussion of interfaith principles and practices. On the final afternoon of the camp, we will screen all the stories for the general public (8/18, 3pm, location TBD). The camp is, above all, an opportunity to share one’s own religion with others and learn about some of the other religions that are practiced in the greater Des Moines area. Beyond that, it is an opportunity to learn about the principles and practices of interfaith understanding and dialogue, and by doing so, to become interfaith youth leaders. Campers will receive a $500 honorarium, a copy of Eboo Patel’s Interfaith Leadership, and breakfast and lunch each day. For more information, please contact The Comparison Project’s director, Tim Knepper. 8/12 Meet My Religious Neighbor: Sikhs of Iowa Khalsa Heritage, Inc.
“Meet My Religious Neighbor” continues on Saturday, August 12th with an open house at the Sikh Temple in Johnston, Sikhs of Iowa Khalsa Heritage, Inc. (SIKHI). The open house will last from 10am until 1pm. 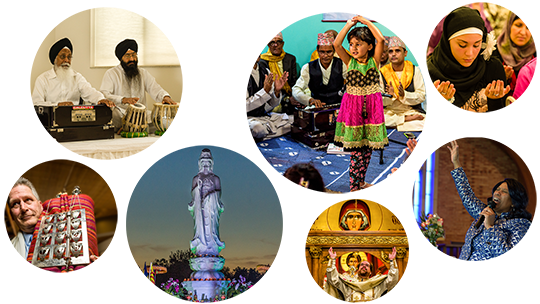 From 10am – 12pm visitors can tour the Temple and learn about Sikh beliefs, practices, and culture. 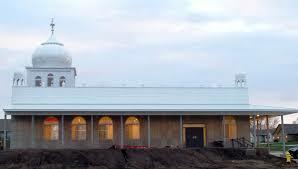 From 12pm – 1pm visitors can join the members of the Temple for their congregational prayer (aardas) and meal (langar). The meal is free vegetarian meal that is served to all regardless of caste, class, or creed. Visitors are advised to dress modestly and bring a head covering (scarves for women, kerchiefs for men). There are some kerchiefs and scarves available at the Temple. 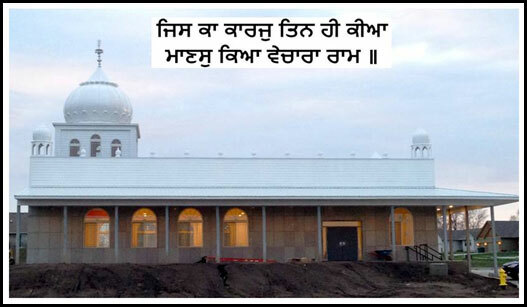 SIKHI is located at 4820 NW 59th Ave in Johnston.